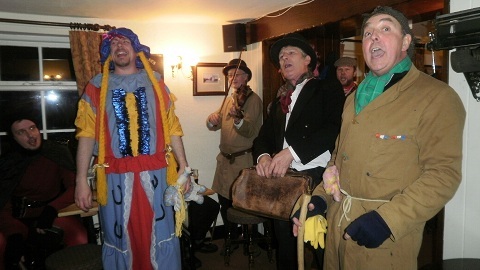 The Calverton Real Ale and Plough Play Preservation Society performing at the Waggon and Horses, Bleasby, Nottinghamshire, England, 13th Jan.2011. 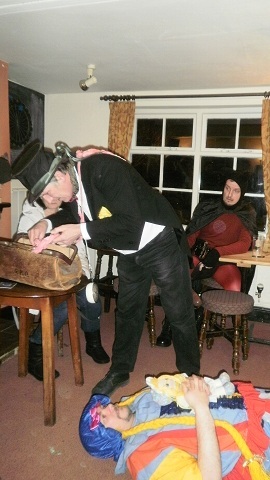 Photographer: Peter Millington. 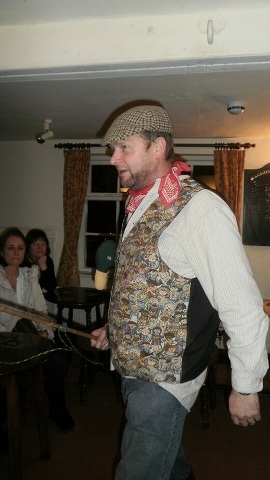 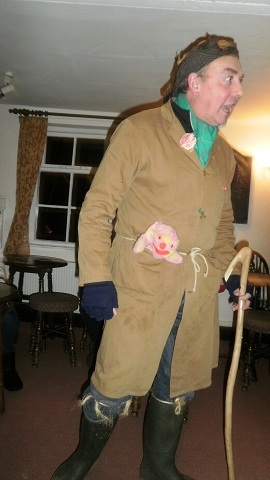 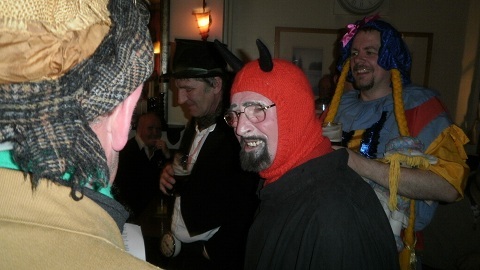 Paul Prior at a surprise party at the Admiral Rodney, Calverton to celebrate his 33 years a devil.